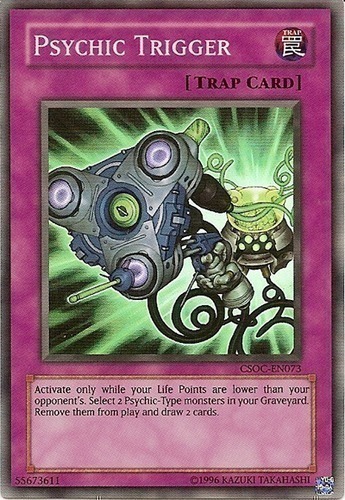 Activate only while your Life Points are lower than your opponent's. Select 2 Psychic-Type monsters in your Graveyard. Remove them from play and draw 2 cards.